We prefer to use PayPal, but we will accept other payment methods. Your purchased item will be made after we receive payment. There is a 16-20 week waiting list on all products. Contact us if something you want is not listed below, or if you have any questions. 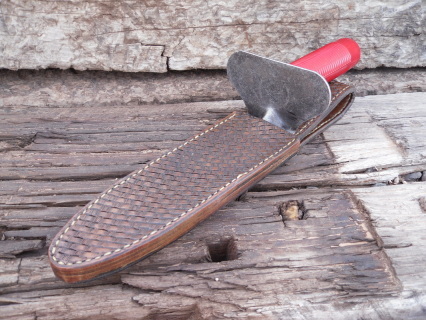 For basic tooling there will be an additional fee of $10, and $40 for a full basket weave, depending on item. International shipping charges are not included in our prices. If you need an item shipped internationally please consult with us as to additional charges. Thigh Rig finds pouch. 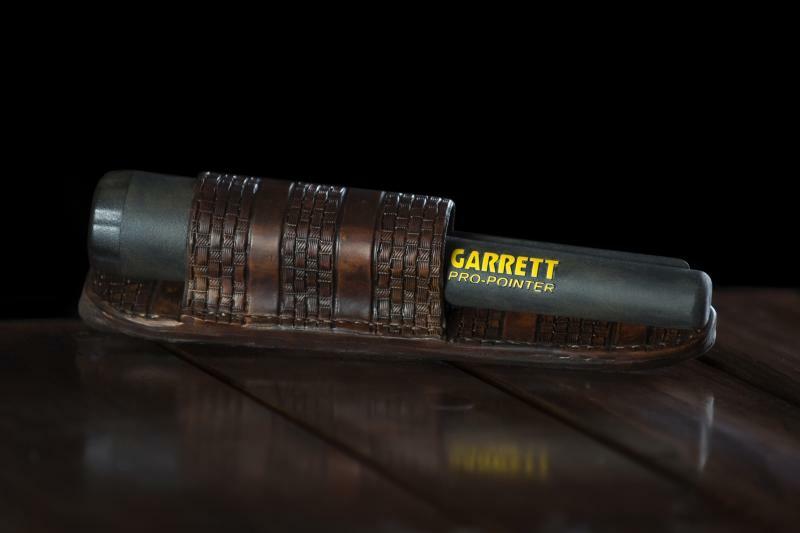 Garrett/lesche sheath. 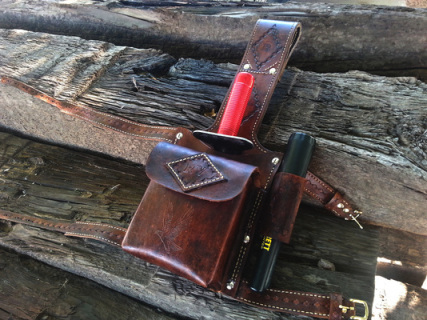 Custom Lesche, Garrett propointer and finds pouch thigh rig. Magnetic locking pouch and adjustable leg straps. Item can be dyed in the following colors: Black, Tan, Light Tan, Java Brown, Coffee Brown,and Dark Mahogany. Pouch shown in picture is Java Brown. 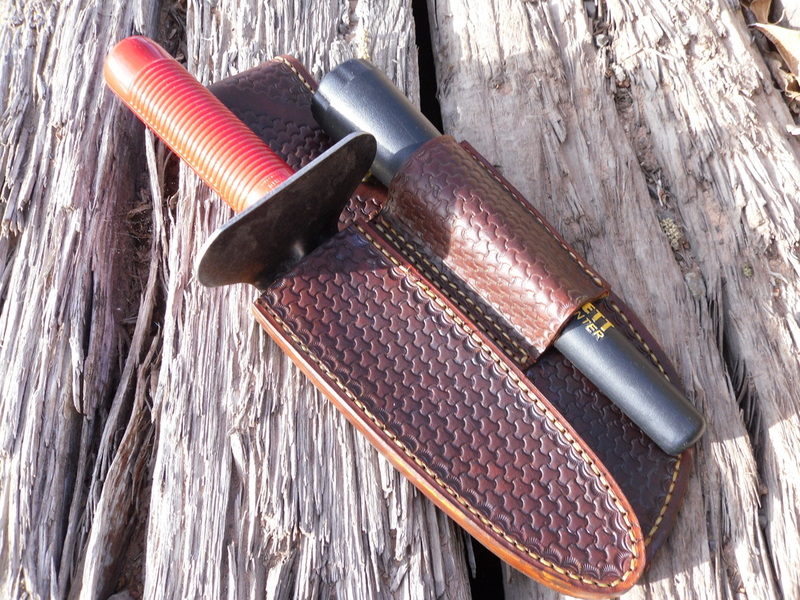 Lesche Mini Sampson shovel sheath. Item can be dyed in the following colors: Black, Tan, Light Tan, Java Brown, Coffee Brown,and Dark Mahogany. 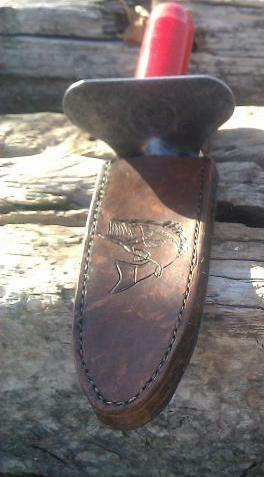 Sheath shown in picture is Java Brown. Garrett ProPointer sheath. No tooling. Item can be dyed in the following colors: Black, Tan, Light Tan, Java Brown, Coffee Brown,and Dark Mahogany. 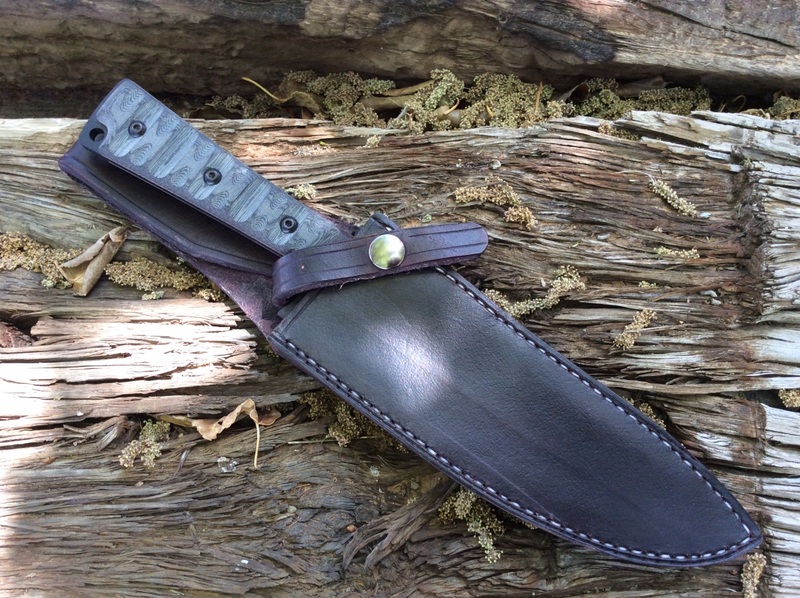 Sheath shown in picture is Java Brown. ProPointer sheath. 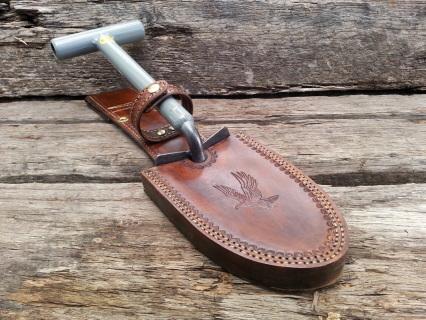 Basic tooling. Item can be dyed in the following colors: Black, Tan, Light Tan, Java Brown, Coffee Brown,and Dark Mahogany. Sheath shown in picture is Java Brown. 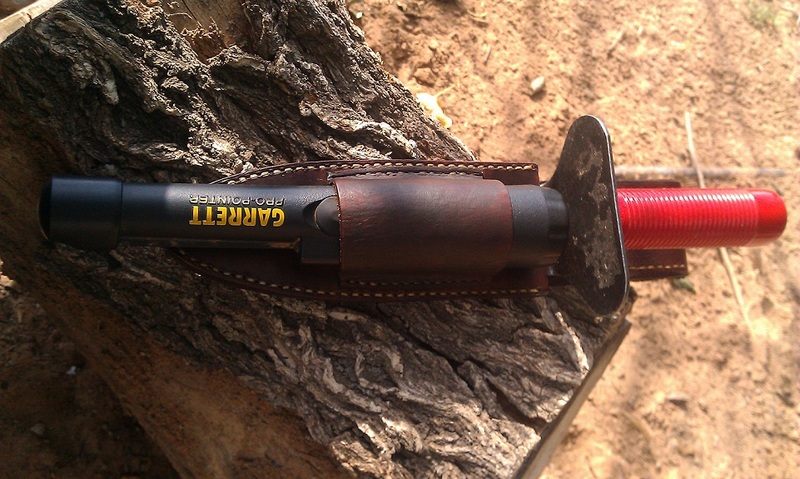 Propointer sheath. Full basket weave. 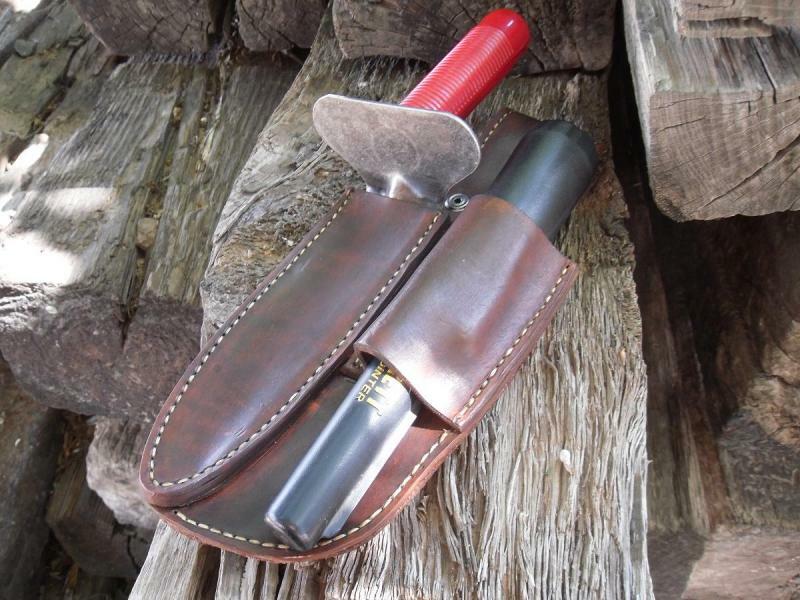 ProPointer sheath. Full basket weave. Item can be dyed in the following colors: Black, Tan, Light Tan, Java Brown, Coffee Brown,and Dark Mahogany. Sheath shown in picture is Black. Inline Garrett ProPointer & Lesche combo sheath. 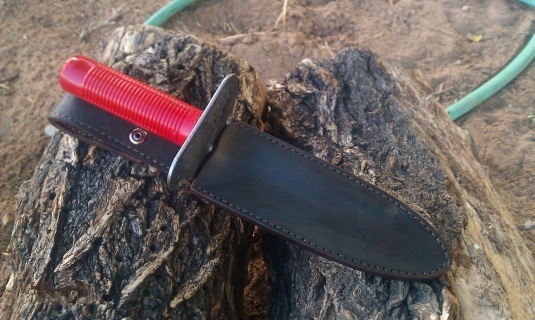 Inline Propointer lesche Combo sheath. Item can be dyed in the following colors: Black, Tan, Light Tan, Java Brown, Coffee Brown,and Dark Mahogany. Sheath shown in picture is Java Brown. 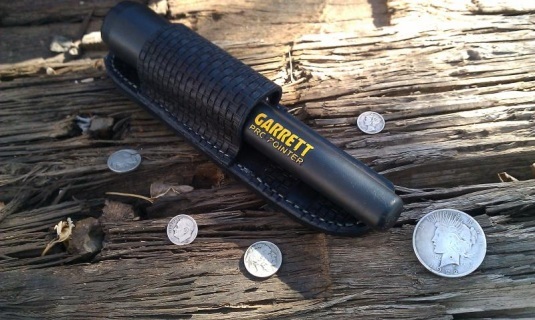 Inline Garrett propointer lesche combo sheath. 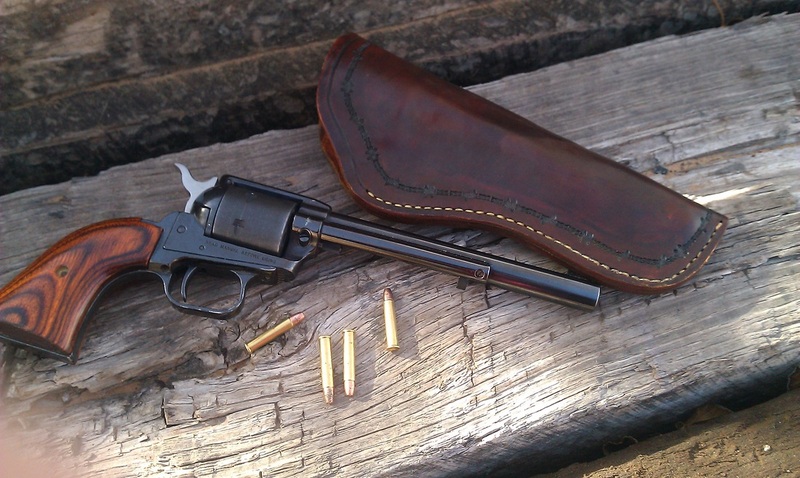 With basic tooling. Inline propointer lesche combo sheath. Item can be dyed in the following colors: Black, Tan, Light Tan, Java Brown, Coffee Brown,and Dark Mahogany. Sheath shown in picture is Coffee Brown. 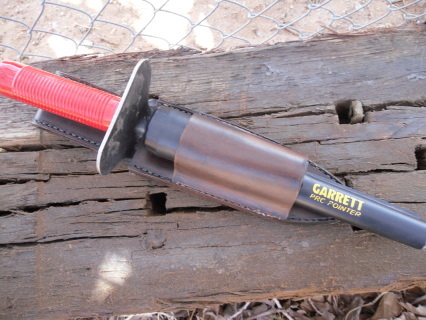 Inline Garrett Propointer lesche combo sheath. Full basket weave. Inline Garrett ProPointer/Lesche combo sheath. 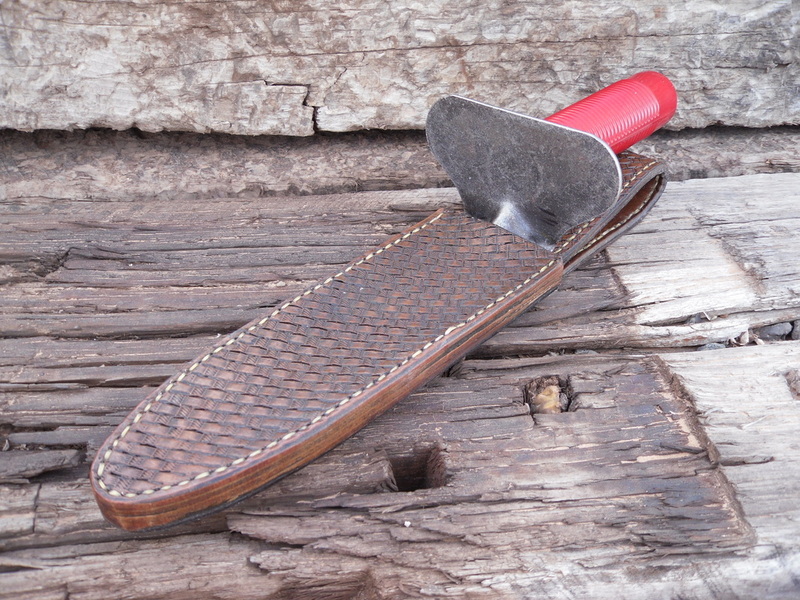 Full basket weave tooling. Item can be dyed in the following colors: Black, Tan, Light Tan, Java Brown, Coffee Brown,and Dark Mahogany. 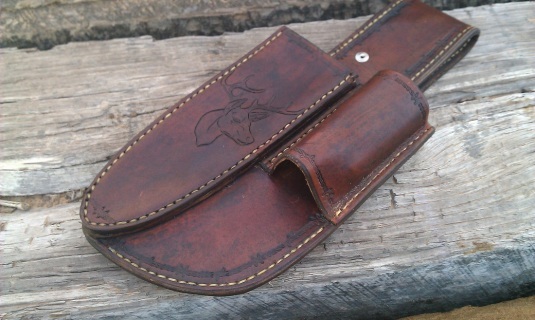 Sheath shown in picture is Coffee Brown. 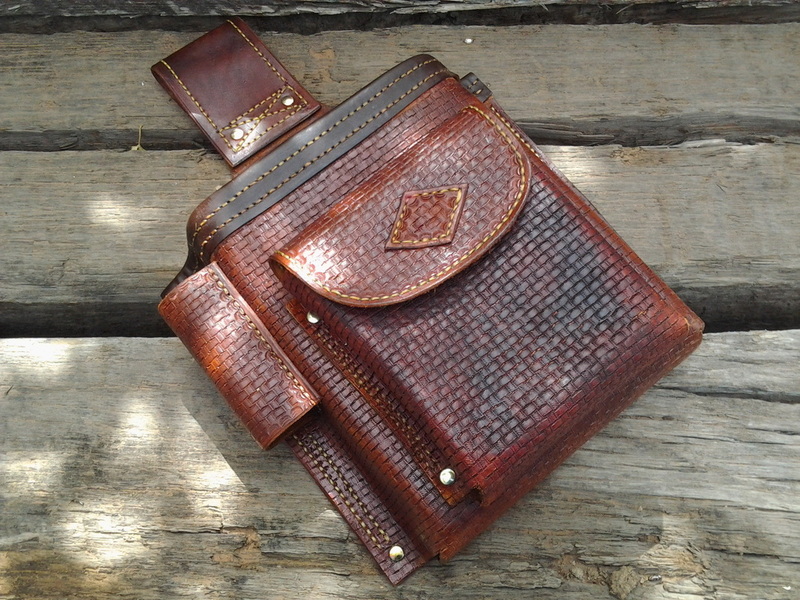 Lesche sheath. Basic tooling. Item can be dyed in the following colors: Black, Tan, Light Tan, Java Brown, Coffee Brown,and Dark Mahogany. 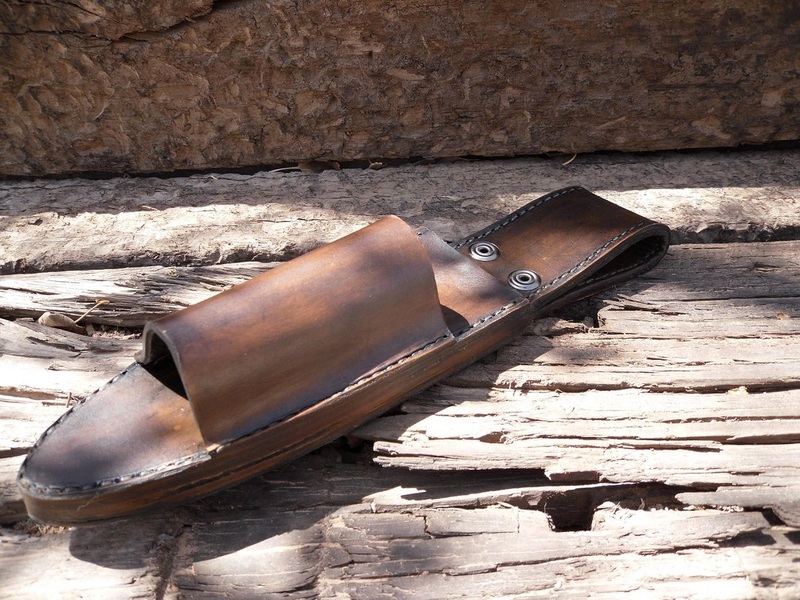 Sheath shown in picture is Java Brown.